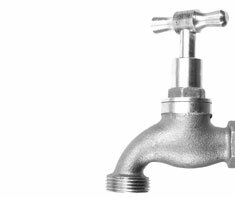 Outside Water Faucets are water spigots that deliver fresh water to the outside of your home. Water expands when it freezes. If you live in a region where temperatures go below freezing in the winter, then your outside water faucets risk being damaged if they are not drained prior to the winter. If the water to these Outside Water Faucets are supplied by a private well, then you should also put a checkmark for 'Well Water' as part of your home features in your Home Wizard app. Shown in the 'Routine Care' section are the recommended routine maintenance tasks for your outside water faucets. The 'Q & A' section shows answers to common questions. And the 'Articles' section provides helpful articles about your outside water faucets.